It’s totally ok (and very natural) to have a “Negative Nancy” moment every now and then. In fact, I get a little freaked out by people that are too cheerful and optimistic. But those folks who always say “I can’t bake to save my life!” and adamantly refuse to turn on the oven are just ridiculous. I mean, really, you wouldn’t be able to figure out how to bake something if it meant you were going to die? Luckily, most people are not held at gun-point while whipping egg whites or sifting flour, but sometimes just the thought of measuring ingredients can give people full-blown panic attacks. I get it; that one time you switched salt for the sugar or flambéed your eyebrows off has scarred you forever. But baking at home can be so rewarding, it’s really a shame when home cooks give up. What I have discovered over the years is that even if it just turns out ok, people are still impressed and even if it flops, it still usually tastes decent. And you probably saw this coming, but I’ll say it anyways: practice makes perfect. 1. Always read the entire recipe before starting. This gives you an opportunity to make sure you have ample time to complete the recipe and have all the ingredients on hand. 2. When in doubt, find a video. If you can’t visualize what the heck a recipe is talking about, find a video online. Lumpy pancake batter, stiff peak egg whites, and orange segments are all terms that can be a bit vague if you’ve never seen them before. 3. Use the ingredients exactly as called for. 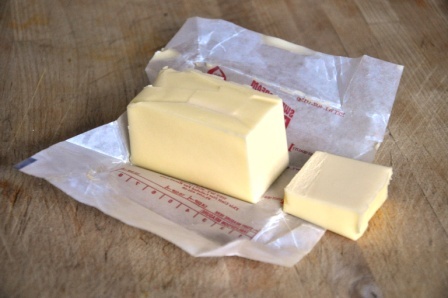 Replacing the room-temperature butter with cold margarine or oil can change your results drastically. 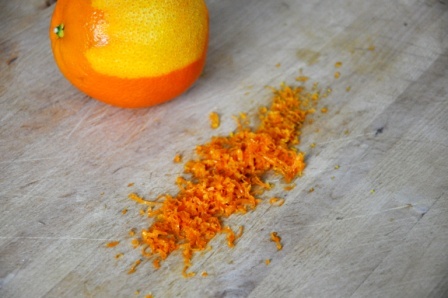 Try not to substitute ingredients until you are very familiar with the techniques used and properties of ingredients. 4. Measure your ingredients precisely. “Eye-balling-it” is not recommended. You need to measure the ingredients in the way the recipe calls for (i.e. is the flour sifted or not? Is the brown sugar packed? Are the nuts measured whole or finely chopped?). The nice thing is that “baking” is that it doesn’t necessarily have to occur in your oven. Some of the same techniques utilized in cakes, muffins, and other treats can be practiced on the stovetop. For example, pancakes. They don’t require specialized equipment, expensive ingredients, or lots of time, but do involve some of the same processes as more advanced baking and can easily be dolled up with exotic flavors and interesting textures. If anything, perfecting pancakes will give you the self confidence to try other baking adventures. Who knows, maybe you’ll even end up a “Soufflé Sally” or “Pie Crust Paula”! 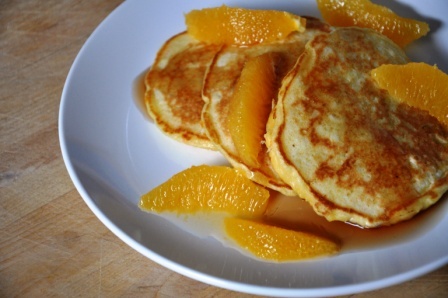 Moist and tender, these pancakes can be made without the orange zest, liqueur, and corn; another tasty variation would be vanilla extract, lemon zest, and blueberries. 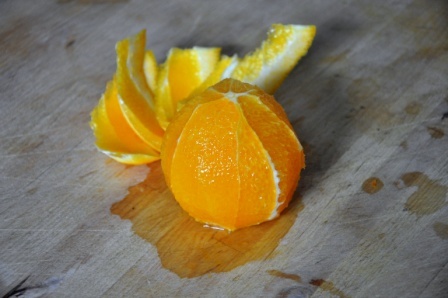 In the summer, use fresh corn and omit the oranges and in the winter use frozen corn. 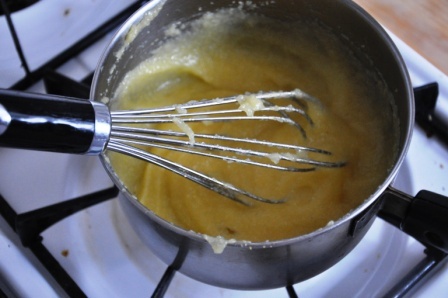 In a small saucepan, whisk the polenta into the water along with the salt and sugar. Bring this mixture to a simmer over medium high heat and cook for 10 minutes, until it is thick. 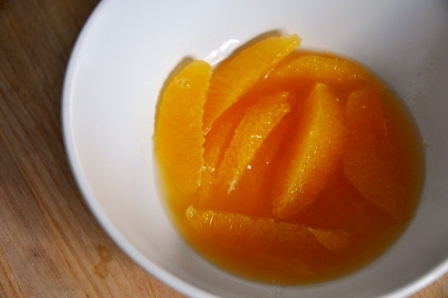 Turn off the heat and let the polenta to cool for a few minutes, then whisk in the orange liqueur, zest, eggs, and milk. Whisk the flour and baking powder together in large bowl. 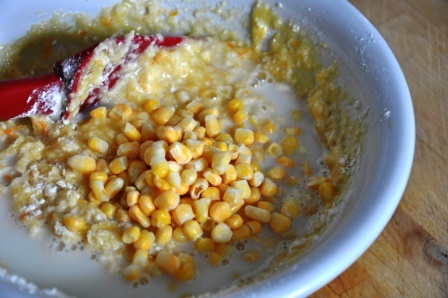 Add the corn (no need to defrost if using frozen corn) to the flour mixture and toss to coat evenly. Add the polenta mixture to the flour and gently stir with a spatula until the ingredients are just combined and still slightly lumpy. Do not over mix the batter! 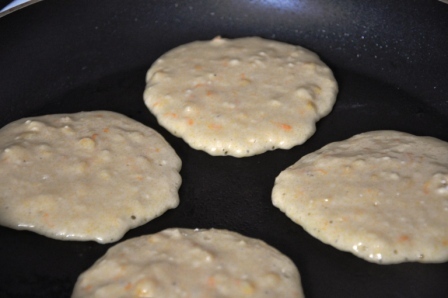 Heat a nonstick pan or griddle over medium heat and spray the pan evenly with nonstick spray. Using a measuring cup, pour ¼ cup of batter into the pan. Repeat until the pan is full (I usually do four at a time). When bubbles on top of the pancakes appear and the bottoms are golden brown (lift one up a little to check) they are ready to flip. Cook on the other side until golden brown. Serve immediately with the syrup and butter, if using. If you are cooking for a crowd, keep pancakes warm in a 200°F oven until ready to serve (up to one hour). Extras can be cooled and refrigerated for up to three days or frozen for up to two months. To reheat the pancakes later, heat in a toaster or toaster oven until hot. I just missed my L stop because I was busy reading this, and it’s snowing. I was checking to see if you wrote ” don’t over mix!” and you did. You know I love me some pancakes!